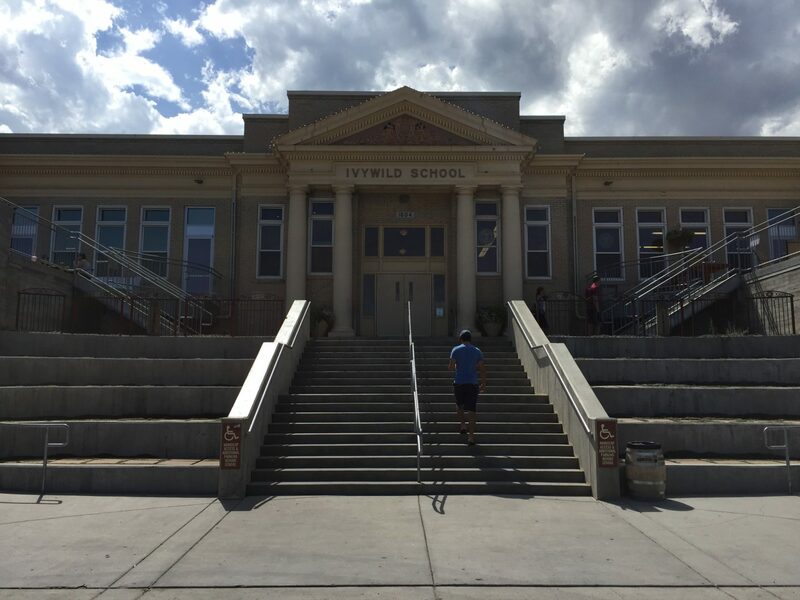 Located in the 1916 Ivywild Elementary School, Bristol Brewing Company “took us to school” on what a good beer should taste like. I know, awful pun, I’ll try harder. Originally opened in 1994 by Mike and Amanda Bristol, the pair have exceeded in creating a different yet extremely inviting environment in order to enjoy a beer. Housed in the old elementary school with many aspects of it still intact gives the sense that the patrons of Bristol are breaking some arbitrary rule set forth by our tyrannical childhood teachers. I could almost feel the crack on my knuckles from Sister Mary Nick’s ruler for misbehaving in fifth grade. 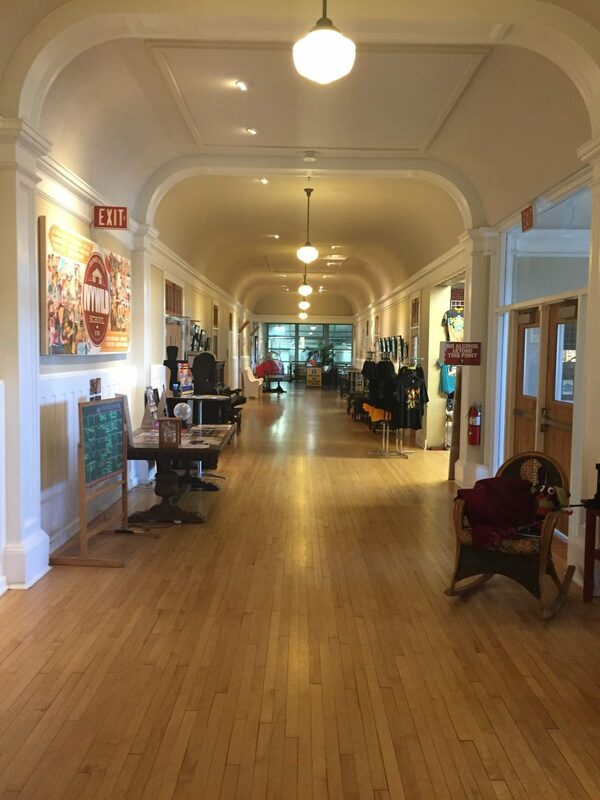 Fear not, once you get past the alphabet covered bathroom, creaky wooden floors and Principal’s Office gift shop this place is actually really fun. Being lured in by the beers and staying for the shuffleboard, this is probably our favorite brewery out of all the ones we have visited. So, on to the beers. We received our flights and proceeded to kick the small children off of the shuffleboard table. Amidst the trash talking and heated games we were able to make our way through our flights of beer, which we thoroughly enjoyed. From the classics that are sold all over the country like Laughing Lab to some of their new seasonal brews like the RyePA, we were astounded at their diversity and consistency across the board. After finishing up our game of shuffleboard and our flights we soon came to the conclusion that this was the funnest brewery we had visited. The entire building gives off a fun vibe and I can just picture it on a weekend filled with people having blast. (and the occasional Pokemon GO player trying to take my gym) The beers were great and the atmosphere even better. 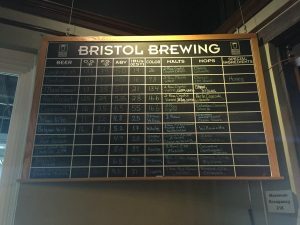 Welcome to Bristol Brewery where you can take a walk down memory lane and drink a beer in defiance of all those teachers wouldn’t let you sleep in class. finish. This beer ice cold is summer perfection. but with a slight bite of hops at the end. balanced hoppy finish. A nice crisp pale ale. beer. Has a great drink ability but not too heavy. red sweet grapefruit body and a sweet smooth finish. hoppy taste but an absolutely smooth and balanced finish. finish. A good hoppy beer if you like that sort of thing. 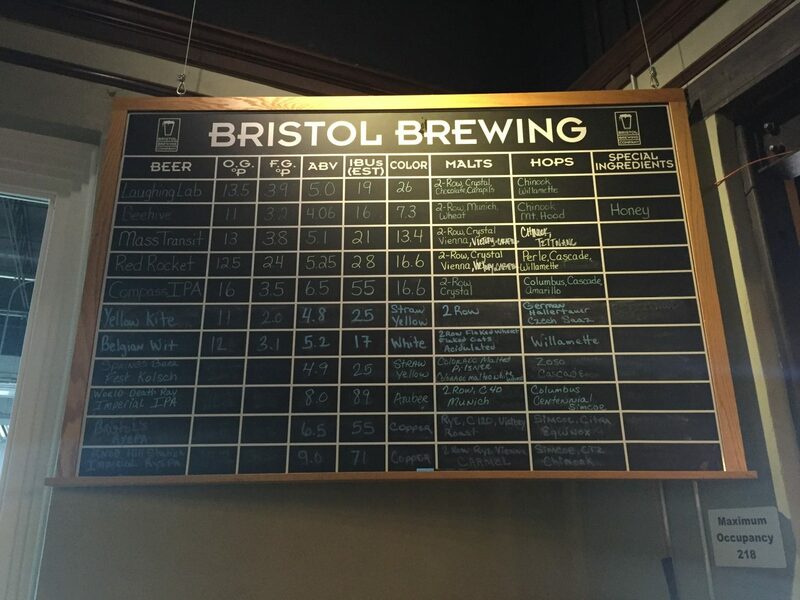 This entry was posted in Breweries, Community and tagged Beery, Brewery, bristol, colorado, colorado springs. Bookmark the permalink.